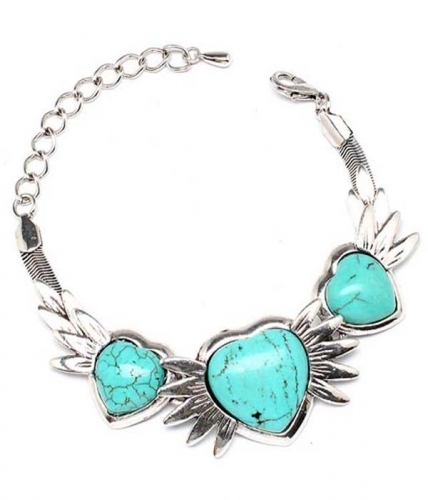 The eponymous Unique bracelet brandishes a lilting design of winged turquoise hearts. Featuring quality finishing, clasp fastening and extension chain in cast silver. A piece you will never stop loving. At Oz Bling cheap jewellery doesn't mean cheap quality. We guarantee high standards of quality at lowest prices.